Our offer today is a very special 1980 T-top Coupe which sustained a very through and expensive restoration and update. First of all, notice the exquisite paint job reminiscent of C6 Daytona Sunset Orange Metallic, base coat with deep metallic flake in the clear coat giving it a deep shine in any light. The custom look is complemented by new American Racing Torque Trust 2 Black Chrome 18" wheels with new tires (over $2000 value), also new Glass tops. Engine is a new Chevrolet crate engine rated initially at 260 HP, but, possibly pushing over 300 HP with the following add-ons: 750 CFM Holley carburetor with dual feed vacuum secondary, Doug Thorley Stainless Steel Chassis headers, 2.5” Flowmaster dual exhaust, high rise manifold. Also present 3.07 positraction rear end differential, Turbo 350 Automatic transmission with shift kit, new AC system, new radiator. Check out out the Chrome engine parts! All new suspension (trailing arms, shocks, U-joints, rubber…), powder coated chassis including oil pan, transmission pan, basically all taken care of. AC blows cold, vacuum operates properly, brakes work great! Interior is fresh as well (seat covers, door panels, carpet, etc) and all gauges and instruments work as they should (minus the clock, of course). Check out the mild custom steering wheel! 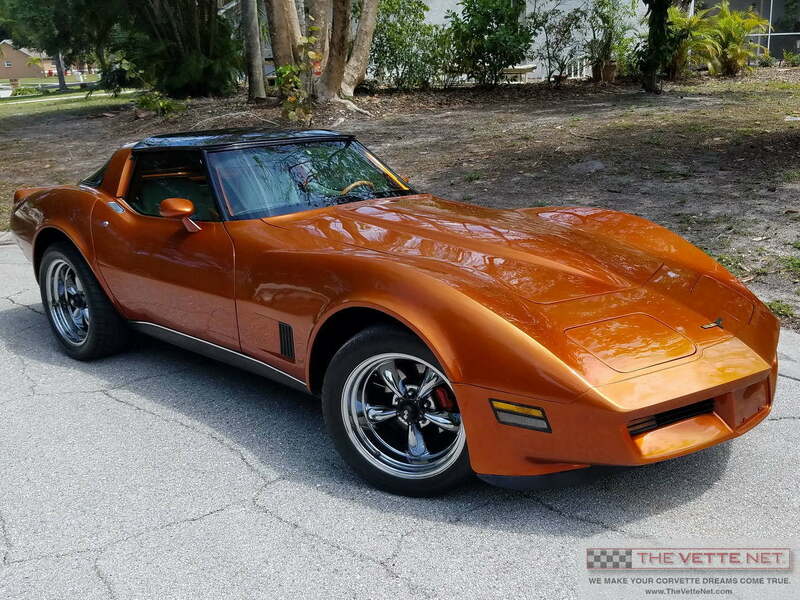 This is a fine example of a very desirable and refined late Stingray in excellent condition and upgraded to a very high extent with lots of dollars invested so you will not have to. It will be hard to duplicate it, considering that the paintjob alone reportedly cost 10G… Just get in, drive it every day and show it on Sunday at the Show!